Is it time for Air Asia to reinvent itself? Within the last week Air Asia has been in the news for a couple of reasons. First, Air Asia in India made a press release announcing it had achieved a 134% growth in passenger traffic in the October-December quarter of 2015. This was an announcement Air Asia Group CEO Tony Fernandez was very proud of, also announcing that a dozen new aircraft would be operating in India within a very short time. This announcement is symbolic of how diversified, powerful, and interlocked the company is with some of the top entrepreneurs and rising corporate identities within the region. These include Fersindo Nusaperkasa in Indonesia, Antonio Cojuangco, Micheal Romero, and Marianne Hontiveros in the Philippines, All Nippon Airways in Japan, Tata in India, and Virgin in Air Asia X.
Secondly, Air Asia flight D7206 from Kuala Lumpur to Coolangatta on 15th February made two emergency medical landings at Denpasar Bali, where the passengers ended up stranded there for the next 36 hours due to a number of procedural and operational issues. Stories emerged from some of the passengers about the lack of care they were given, having to pay USD 57 dollars for their own Indonesian visa (later reimbursed), and provided with no food and water for many hours after landing. More alarmingly, the pilot and crew of the aircraft allowed Indonesian authorities to take into custody one Iraqi passport holder without any protest, as Iraqi citizens were not eligible for a visa on arrival. After a failure to get clearance for take-off due to 9 passengers staying on in Bali or making their own way home, the flight was further grounded until 2.30pm the next afternoon where the entire plane load of passengers and crew staked out in the terminal under harsh conditions. The D7206 saga indicates that even with Air Asia’s massive size and connections today, the airline is still inexperienced in emergencies and a ‘culture of frugalness’ heavily dictates how the airline is run. There is no doubt that Air Asia is an international entrepreneurial success story. The airline now has over 100 destinations over more than 20 countries, operating over 141 aircraft, making it the Airbus’s largest single customer. The airline is also the lowest cost operator in the world today with a passenger break-even load of 52%. 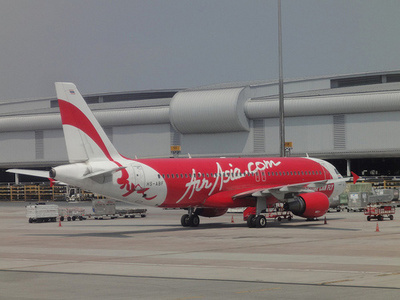 Air Asia has reportedly hedged its fuel purchases for the next couple of years, can achieve an aircraft turnaround within 25 minutes and has one of the highest crew productivity rates of any airline in the world. Air Asia is a very profitable venture in an industry where many airlines are struggling to survive. Company net profit for third quarter 2015 still came in just short of RM 165 million. This was still achieved after the fatal crash of Flight QZ8501 operated by Air Asia Indonesia at the end of 2014, rapidly increasing competition from other regional low cost airlines, and a falling Ringgit. However there are some important questions here. Firstly, how much are operational shortcuts contributing to this result and is this affecting the safety of passengers? Secondly, are deceptive sales and marketing practices contributing to these results? On Sunday 28th December 2014 flight QZ8501 while on a flight from Surabaya Indonesia to Singapore, crashed into the Java Sea killing all on board. An Indonesian National Transportation Safety Committee investigation found that the accident occurred because of a sequence of mechanical and pilot errors. A malfunctioning rudder control system led to a sequence of actions by the pilots that led to the stalling, loss of control of the plane, and eventual crash into the sea. As a consequence the National Transportation Safety Committee merely suspended Air Asia from flying the Surabaya-Singapore route because the flight occurred outside the scope of its license to fly that route. This is incidentally only one of the many cases where Air Asia has failed to heed to various national regulatory and licensing requirements. One will find all the designer decorated Air Asia aircraft are immaculately clean on the inside, but slightly shabby across the fuselage. Aircraft within the Air Asia fleet operate as much as 13 hours per day, with very quick turn-arounds, using minimal crews. This brings into focus aircraft maintenance. The blog “Fly Air Asia? Not Me. The Other AirAsia.com Website”, castes a number of assertions about poor aircraft maintenance of Air Asia aircraft. However among a number of graphic pictures and statistical information their main argument is that maintenance is suffering because of the airline management’s obsession with cost cutting. Although the credibility of “Fly Air Asia? Not Me” could be questioned, there should be some concern in this area as a faulty part was blamed for the QZ8501 crash. This is especially so with the recent release of the Indonesian National Transportation Safety Report on the Indonesian Air Asia Flight QZ8501 report which identified maintenance and pilot competence as major concerns. Some of these lapses in maintenance and pilot error, as well as short cuts in operational procedures have been well documented in social media. From the outside it’s just too difficult to come to any firm conclusion about Air Asia’s safety. However the Indonesian crash report should carry some weight and caution. This could be partly the reason why Air Asia last year outsourced some of its aircraft maintenance to a third party, Destini Aviation. Increasing incremental sources of revenue is a critical strategy for the success of any low cost airline. The Air Asia online booking system has been developed perfectly for this purpose. The Air Asia flight booking algorithm and ways it is adjusted are extremely effective from the company’s point of view. It takes good account of the competition on any flight leg, time of day, and weekends and public holidays to maximize income. As a consequence, Air Asia is not always the cheapest airline available, and it often pays to shop around before finally committing to a ticket. Surveys indicate that Air Asia tickets are often more expensive than full service carriers operating over the same routes. Very often Malaysian Airline or Thai Airways tickets are cheaper on the same sectors in Malaysia and Thailand respectively. Many have been concerned about the apparent deception on the Air Asia flight booking screen to the point where Australian regulatory authorities modified the laws to prevent these deceptions. The Air Asia online booking system shows net ticket costs, without taxes and GST, etc. Additional costs include seat selections, baggage allowances, and various types of insurances the company tries to persuade customers to take when paying for their tickets. The Air Asia booking website is designed in such a way that a person making a booking may unintentionally click on some of these ‘adds-ons’ such as insurances that they didn’t have the intention of taking up and paying for. What is very interesting here is that the Air Asia booking website is very different in Australia, due to the action the Australian Competition and Consumer Commission took against Air Asia in 2012. The Commission alleged that Air Asia was only advertising part of the air fare, failing to show all taxes, duties, fees, and other mandatory charges. The Federal Court imposed an AUD200,000 fine on Air Asia Berhad for contravening pricing provisions within Australian consumer law. Similar schematics on Air Asia’s booking websites are still used within Asia, even though the company censured for doing so in Australia. The company is following legalities within each country it is operating in, but the question here is the company following the best consumer ethics? Air Asia was also forced by the ACCC to adequately deal with customer complaints over cancelled flights after the company ended its Adelaide to Denpasar route in December 2014. These complaints centred on the slowness of refunds and issues of ‘out-of-pocket’ expenses due to the cancellations. Even after repeated requests by consumer regulatory authorities to deal adequately with consumer complaints, a spokesman for the consumer protection Choice Magazine Tom Godfrey alleges that Air Asia is still insensitive to consumer problems when flights are cancelled, particularly those who have booked and paid for holidays in advance. Other complaints about Air Asia are wide and varied. They are put on message boards, and social media by disgruntled customers. The main categories of complaint are concerned with issues of changing flights and refunds. Then comes a long barrage of complaints about the lack of duty of care, the lack of responsibility of employees, and the attitude of the airline staff towards customer issues and problems. The writer made an inquiry through Twitter about the problem plagued flight D7206 last week from Kuala Lumpur to Gold Coast Brisbane, and only received a reply a week later. Customers being charged GST before the tax was implemented in Malaysia are PR disasters for the airline and leading to the development of its reputation of taking advantage of consumers. Air Asia learned how to frame its pricing policies in the early days when it had a monopoly or duopoly over the malaysian routes it covered, particurly in Sabah,Malaysia. The company would price according to demand and competition. Although this is astute revenue maximization in the business sense, this practice also gives out ‘negative vibes’ to consumers, particularly if they think they are taken advantage of. What is not clear, is whether these above practices on pricing and operational issues are overtly part of the Air Asia business model, or just symptioms of rapid growth and company expansion. On the safty side, the recent findings of the Indonesian National Transport Safety Committee must be taken serously before another fatality is allowed to occur. However what is very clear here on the consumer protection side, is if the Australian consumer regulatory authorities found it extremely challenging to deal with Air Asia over consumer issues with the law on their side, the average Asian passenger has little hope, and will find it very difficult, if not impossible to get any fair hearing by the airline of their individual problems and complaints. There is a big onus on Air Asia to get this part of their business operations right. Here lies the opportunity for Air Asia Group CEO Tony Fernandez. Put customer service and ethics at the forefront of Air Asia marketing and sales strategy and the benefits to the bottom line may be greater than the current way Air Asia guests are treated. Air Asia is rapidly losing the competitive advantage in the low cost sector it has enjoyed to date. The others are catching up, where some low cost airlines already offer 15kg free baggage, and Malindo Air provide a larger and more comfortable seat than Air Asia. Picture Tony Fernandez going down to the Denpasar Airport lounge where the passengers of D7206 were held out with a frustrated and demoralized crew, and personally meets all involved. The disaster would have turned into a PR triumph for Air Asia. Fernandez needs to show that now everyone can afford to fly ethically, safe and secure. Both the Australian and Indonesians Government autorites have been critical of Air Asia’s practices and tactics, and saw fit to enhance their laws to deal with the company’s antics. This is where Tony Fernandez can create the goodwill needed to bring the reputation of Air Asia to the top by reinventing the airline. For this, he can turn to one of Air Asia’s initial investors, the larger than life Sir Richard Branson. Fly Air Asia by booking correctly, taking care to make the correct estimates of how much baggage allowance you really need, etc., and there shouldn’t be too many problems and issues flying with the airline. It’s not all the awards that Air Asia has won. It’s the interaction between the company and the consumer that in the end makes an airline great. To date Tony Fernandez has only half understood this. Indeed, in our brave new world the every identity of man is that of the producer and the consumer. Producer and consumer of the needs of the body. The ancients knew better: man is a harmonious integral composition of the material (the body), the intellectual (the mind) and the spiritual (the soul). To reduce him to the merely material (the producer and the consumer worth what he has in the bank) is to diminish him and eventually destroy his very human image. Yet some of those advocating this diminished image call themselves secular humanists. The bias and the fallacy is quite obvious.